Every year, Seattle Neighborhood Greenways staff meets with UW faculty and students to set up guided research projects and classes. 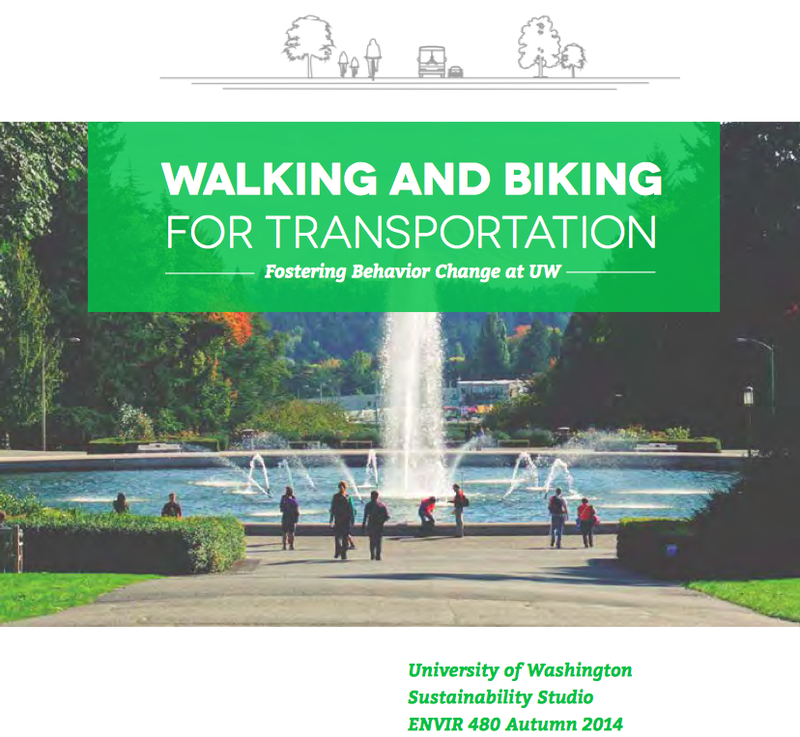 In the fall of 2014, we worked with Urban Design & Planning Instructor Megan Horst to help develop a UW Studio class focused on behavior change that would lead to more walking and biking at UW. Students worked on how best to market active transportation choices to students. We were especially taken with the project called “Secret Shopping at Bike Shops”. The student team analyzed three bike shops near campus and ranked them on customer friendliness to students who are new bike users. Their survey’s included “Quality of Employee Questions” and “Addressed Misconceptions”. They made recommendations on what needs to be done to improve the shopping experience for students who are looking to buy a bicycle. The student group found bike shop employees are not trained in marketing to people who need a bicycle for everyday transportation and that students don’t understand what to look for in a basic commuter bike.